Where do we long to be? 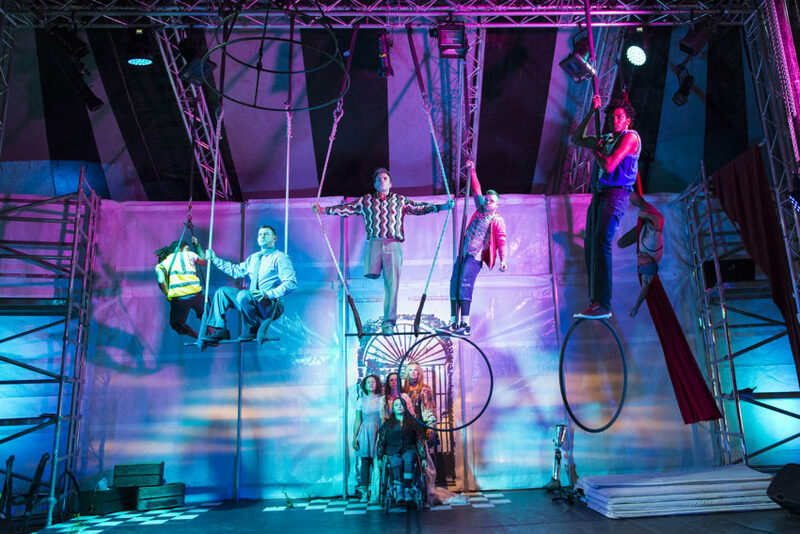 This bittersweet aerial production, featuring hoops, trapeze and silks, brings together a group of international artists exploring the idea of belonging and delving into what connects and divides us as people. 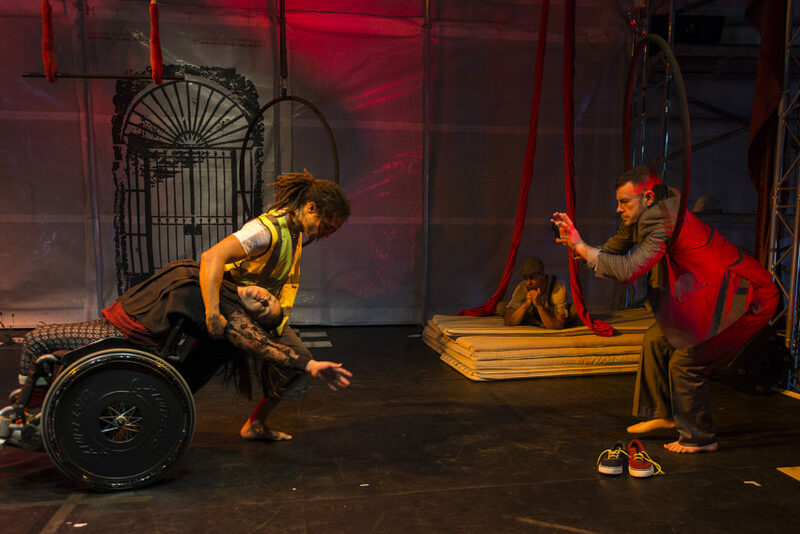 Co-directed by Jenny Sealey and Vinicius Daumas, this artistic collaboration between the UK’s Graeae and Brazil’s Circo Crescer e Viver features performers from the London 2012 Paralympic Games Opening Ceremony and a collection of Brazilian actors, musicians and dancers. In Partnership with British Council Transform and People’s Palace Projects and SESC – Social Service of the Commerce. 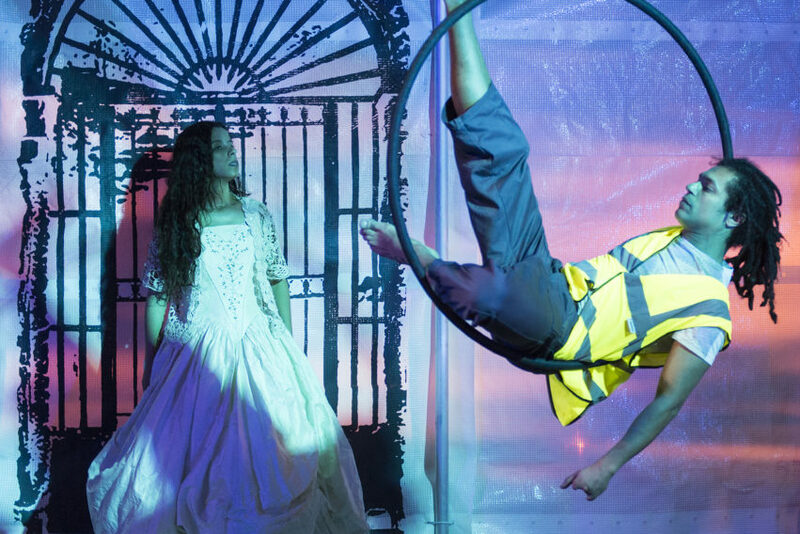 In March, Graeae in partnership with Circo Crescer e Viver worked with 30 students from Fortismere and Blanche Nevile secondary schools as part of the Belonging education programme. Young people were given an introduction to Clowning and began their creative exploration into ‘what it means to belong’. 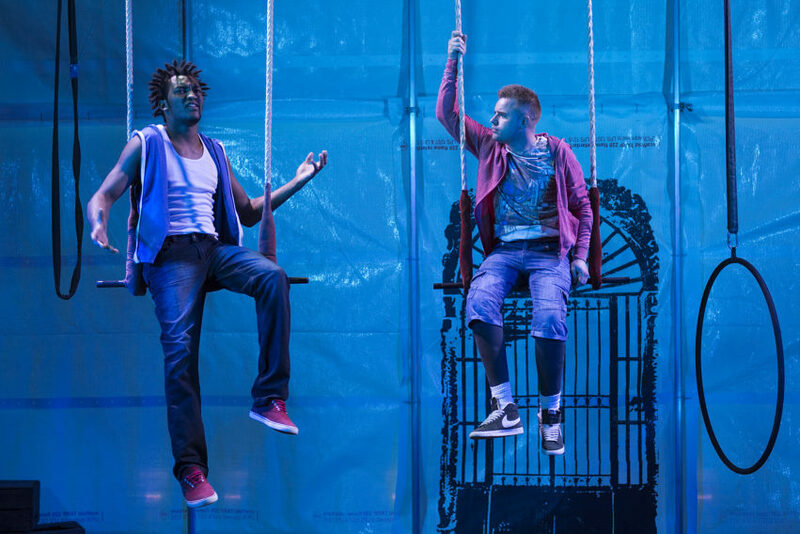 As part of our informal education provision, young artists from Graeae’s Youth Programme will be joining the cast of Belonging for the show’s Good Friday’s performance, giving their perspective on what it means to belong.